Working with executive teams and leadership groups around the world, the following materials have proved to be very effective. They help identify and capture key learnings in the moment, and they support later recaps where the non-linear summary format offers a very personalized recollection. 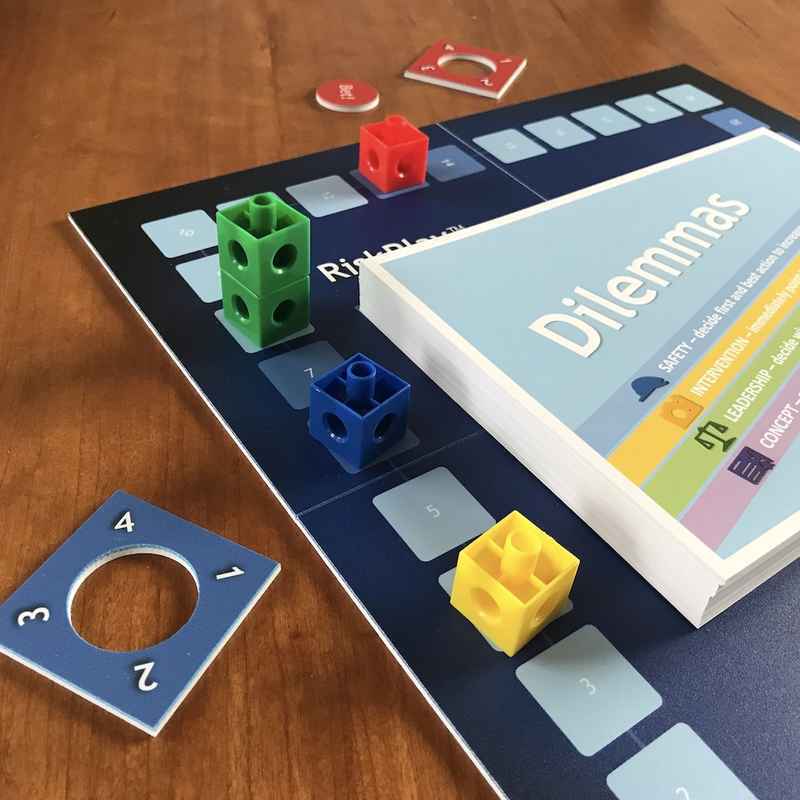 The Leadership Postcards and TeamBuilder board game are created to work as part of highly interactive processes and surprising challenges - aka smart games. Today, the materials are an integrated part of repeated campaigns in both global companies and strategic partners such as De Baak in Holland, where they also feature in open programs such as TRAIL. Each post card summarizes an essential leadership concept in key illustrations and a few inspirational lines of text. Think of it as a conclusion slide with essential take-aways. Where appropriate, original inspiration and direct sources are identified and noted along the left side. The back is left like any other postcard, open for your notes on a pen-friendly paper surface. 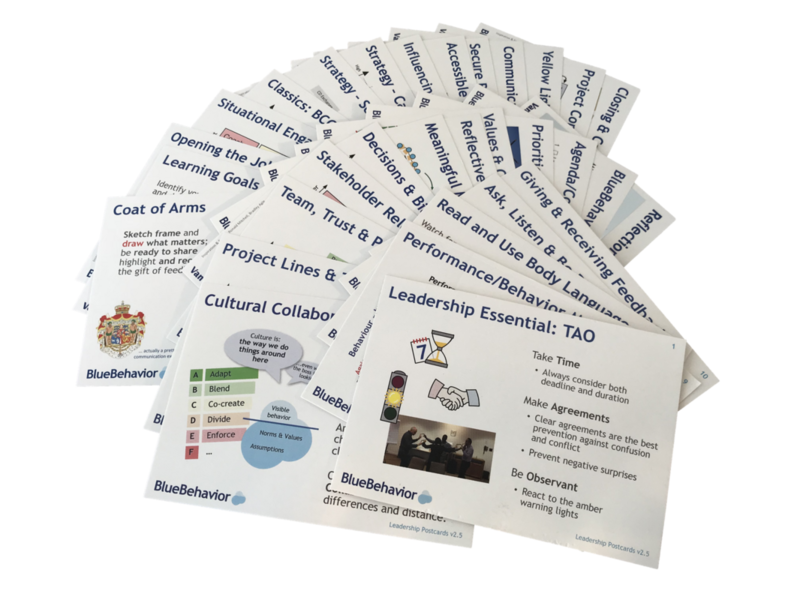 The complete BlueBehavior library consist of 42 core cards that are applicable to most leadership development projects. These are followed by an additional 60+ cards with unique items required by partners and clients for their particular programs and business needs. With the associated cases and exercises, experience shows that each card summarizes roughly one hour of training. For program designs, a half-day workshop -- aka "daypart" -- typically employs 2-3 cards. 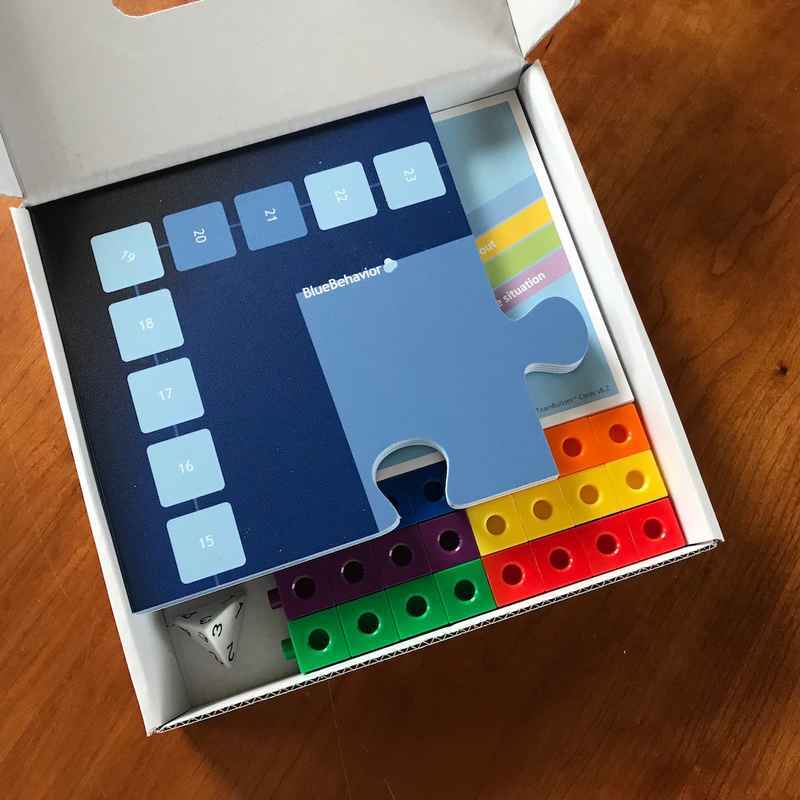 The cards are delivered in a convenient plastic box that may also contain a matching straight-back notebook with 36 pages, typically enough writing room for 4-6 days of intense training. 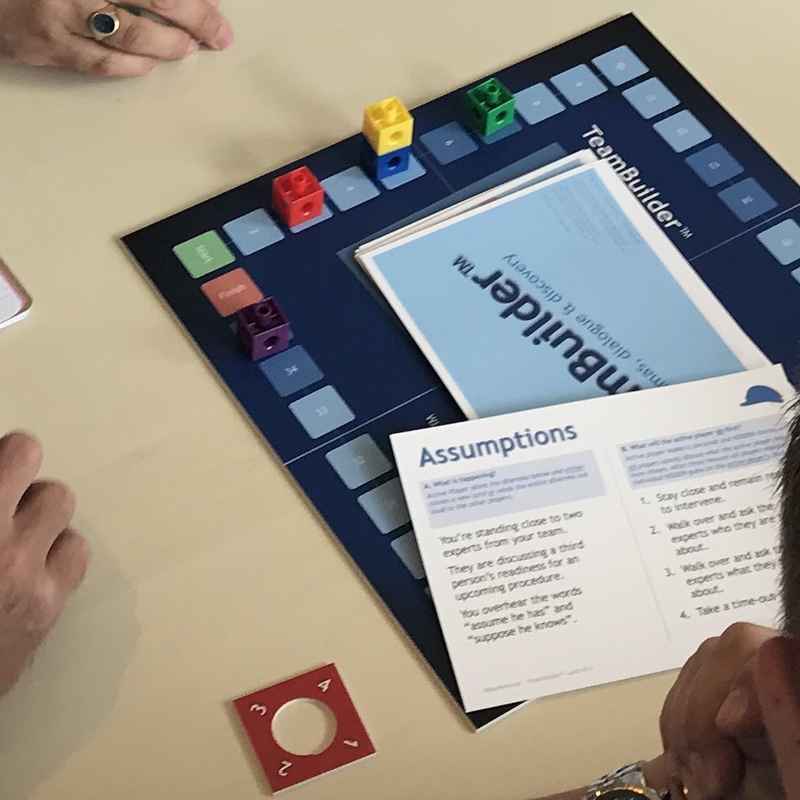 TeamBuilder is a ready-to-use board game, designed to build and bond the team members through revealing reflections and catalytic conversations. The game is crafted for you and your team to learn about each other through various leadership decisions with a few setbacks as possible. You can play strait out of the box, or you may focus the outcome by preselecting dilemmas and/or photo snapshots of real cases. Each game is often very loud, highly engaged and surprisingly fun, typically lasting 45-60 minutes of intense dialogue. It works in most office and on-site settings, perhaps especially as a transition in to more value-based and personal development topics, or as a closing of the day before dinner. 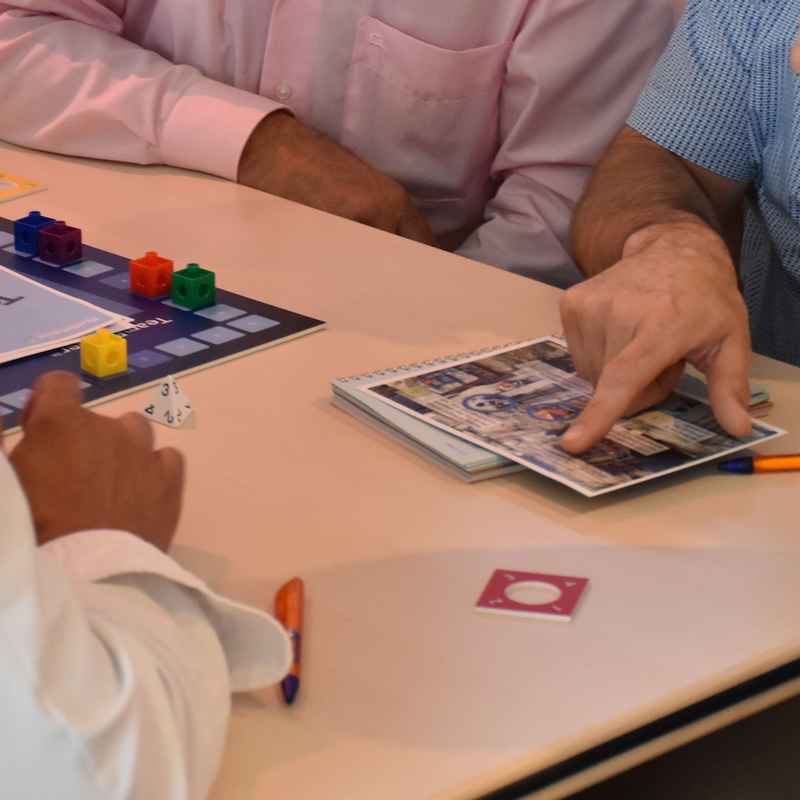 For experienced leaders and facilitators, the game may also be used as a unique recap of the core leadership postcards above. Half the cards offers a written dilemma with four potential outcomes. Turn on your empathy and guess what the active player have chosen. The other half shows a photo of a real-life scene with someting not entirely right. You have 10 stressful seconds to point out the problem. Where appropriate, the answers may come in many ways. From the active player or from suggestions on the back of the card. TeamBuilder is also a platform for organisations requiring individual branding or perhaps to design, develop and deploy their own game from a strong starting point. This foundation has been leveraged by many international organizations as an effective way for their trained leaders to bring essential discussions back in to their teams and daily work place. As a platform for your game play, you choose which game options you want to use - just the board or perhaps also token height? Your game may be branded and packaged to suit your deployment needs, from flight cases to space-efficient square boxes. 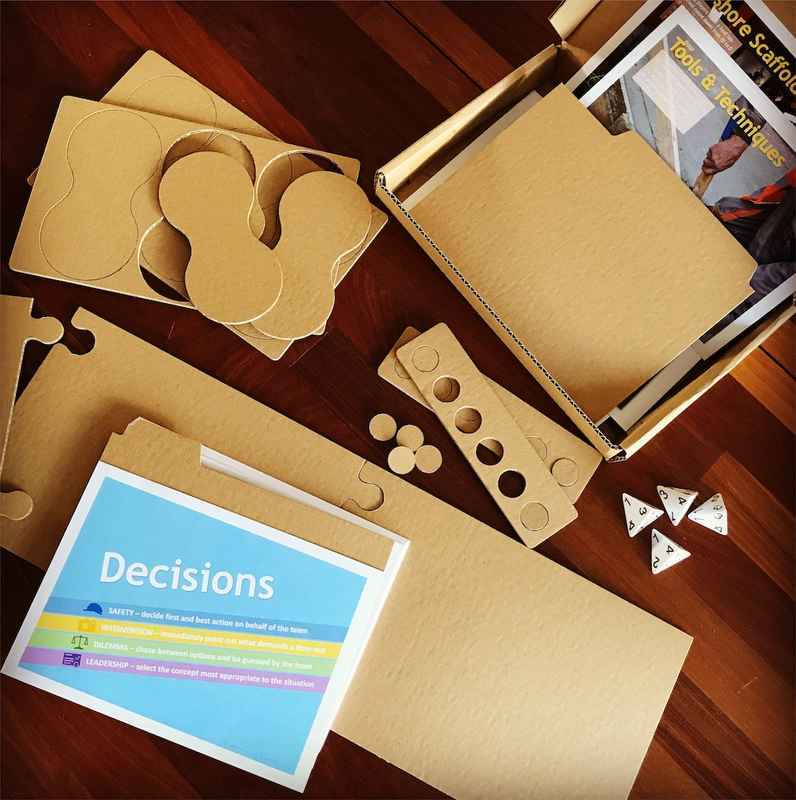 The design process includes efficient prototyping of essential steps, making sure the final game is both rewarding and fun. 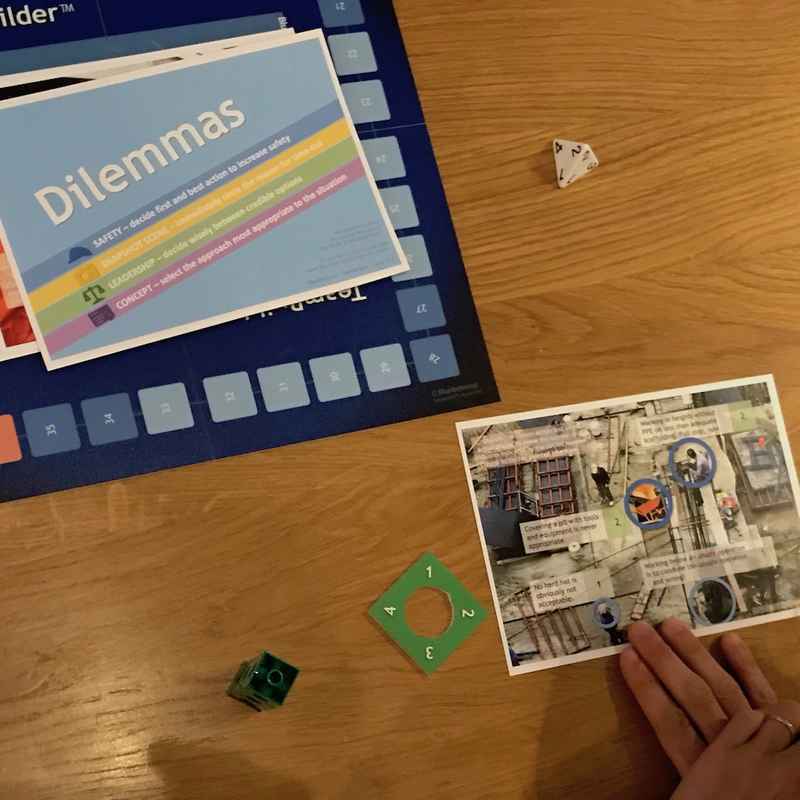 The materials above -- postcards and board game -- are intended to be used in live workshops with a maximum level of participation from all involved. 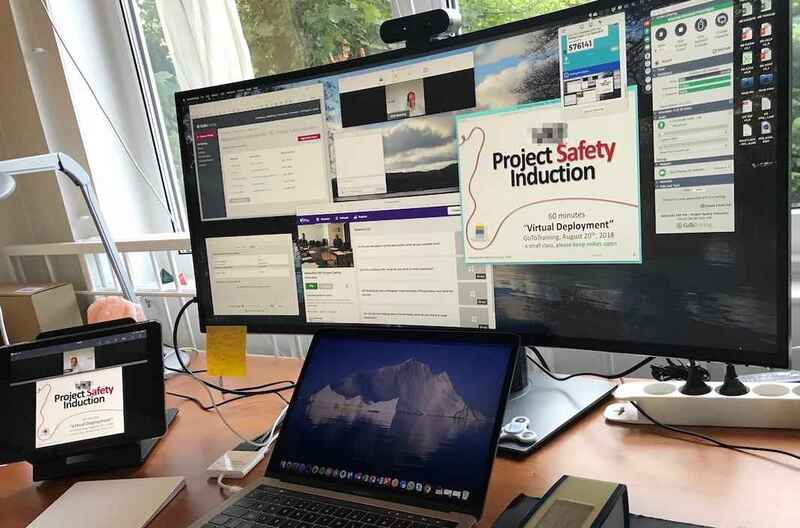 To prepare for these in-person experiences, many essential concepts from the cards (as well as a few surprises from the game), are being blended in to on-line learning formats currently in pilots with several global organisations. Facilitated on-line courses where smaller and very personal, dialogue-based virtual classes are strengthened by buddy-pair preparations before, during and after the real-time modules. For more information, sample materials and promo codes for the pilot workshops, please do not hesitate to contact special projects manager Rikke Nørgaard.